Situated on 5.2 acres overlooking Willoughby Lake, one of the Northeast Kingdom's most beautiful lakes, is where you'll find our Deal of the Week. This bright, beautiful, 3-bedroom, chalet-style home offers more than 1,600 square feet of living space, and the walk-out basement is ready for you to finish. This location provides you easy access to Willougby's North Beach, plus it's 6 miles to the Orleans Country Club and Burke Mountain and the Kingdom Trails are just 20 miles way. Click here for more information, then contact Andrea Kupetz to see this property. Mini-Farm and Homestead on 9.8 acres in Brownington, Vermont - it's our Deal of the Week! This property has two acres of fenced in pasture, a pen for pigs, insulated chicken coop and separate outbuilding with garage door. Great soil for gardening. The two bedroom, one bath home has both a 3-season and open porch. A tree stand for hunting tops this property off. Priced at just $99,900, this property is worth a look! Click here for more information and contact Howard Birchard to see this property. Properties like this don't come around every day......it's our Deal of the Week! Very unique and gorgeous log home in Brownington, Vermont is just minutes from Lake Willoughby. Home sits on 69.02 very private acres. Cathedral ceilings, large eat-in granite kitchen, softwood floors, beautiful sun room and separate hot tub room are just a few of the many features you will enjoy. There is a detached 4-car heated garage with distinctive in-law apartment above that offers huge windows to take in the mountain views. You will be sure to have years of enjoyment in this very special property! $460,000. Click here for more information and contact Steve Peacock to see this property. This quaint country Cape in Brownington, Vermont is our Deal of the Week! This cozy home has three bedrooms, one bath, modern appliances and an efficient pellet stove. Updated electrical and insulation and many new vinyl replacement windows. 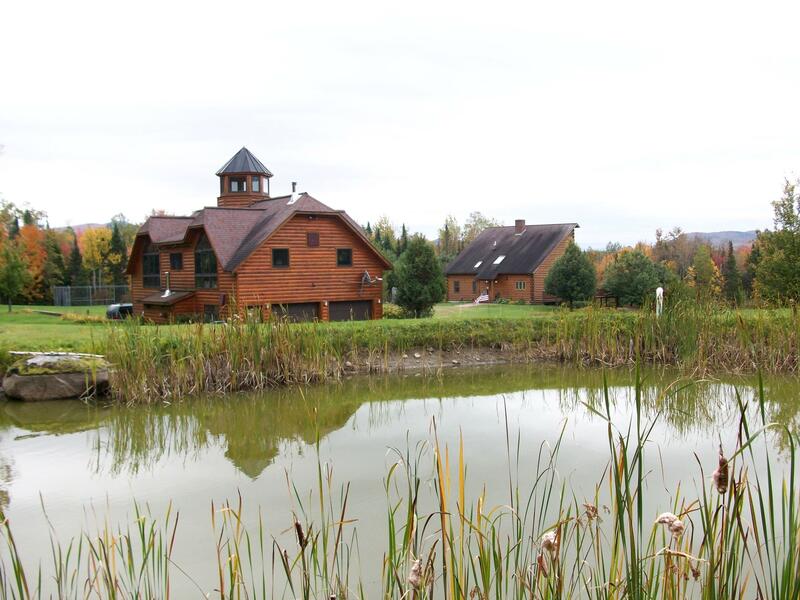 Outside you'll find a brook-fed pond and fenced in yard - perfect for pets or small livestock. Priced at $94,500, this home is worth a look! Click here for more information and contact Peter Lanoue to see this home.